Top Tech News Today: Xiaomi Android Pie Update List Out, Realme 3 Pro With SD 675 Confirmed & More! Xiaomi has revealed the much-awaited Android 9 Pie-based MIUI upgrade list for the Mi and Redmi smartphones in the country. The new MIUI Pie update list features all the supported smartphones with roll out dates. Realme 3 Pro has been certified and confirmed with the same Snapdragon 675 chip as Note 7 Pro. Flipkart is hosting a special Poco Days sale on its site, with a special discount of upto Rs 5,500 on the Poco F1. Android Q beta also has been officially released for all the Pixel smartphones. The Xiaomi smartphone MIUI Pie Update list is out for the latest Android 9 Pie-based MIUI upgrade. Redmi Note 5 and Redmi Y2 will receive before the first quarter of the year. Mi MIX 2, Mi 6, Redmi 6A, Redmi 6 and Mi Note 3 before second quarter. The upcoming MIUI Pie Update will come with new features such as game turbo mode, dark mode, new always on display, dynamic wallpapers and wired charging animation. Xiaomi is hosting a special Poco Days sale in association with Flipkart. The Poco Days is live now, and will continue till March 16. At the Poco Days sale, you can avail a Xiaomi Poco F1 with a flat discount upto Rs 5,500. The offer includes a special Rs 3,000 additional discount on exchange with an extra Rs 1,500 off with ICICI bank cards, bringing down the effective price to Rs 16,499. The Facebook-owned social media messaging app has been found to be testing a new Search Image feature to fight fake news. The company has been under the scanner being one of the root causes vitality of fake news in India. WhatsApp will be using official Google APIs to find similar or equal images on the internet to check it’s authenticity. WhatsApp will alert users before uploading any image to Google. The next generation Android Q beta is now official. The beta version has been released to all the existing Pixel devices including the first generation Pixel smartphones. 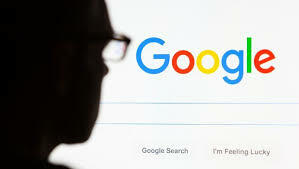 The tenth OS version from Google come with a few changes, keeping most of it from Android Pie. There are a number of new privacy and security features on the latest Android Q beta version, including support for the new foldable Android smartphones. Budget phones continue to dominate the Indian smartphone market. Specially phones under 10,000 rupees are the hottest selling gadgets in the country now. 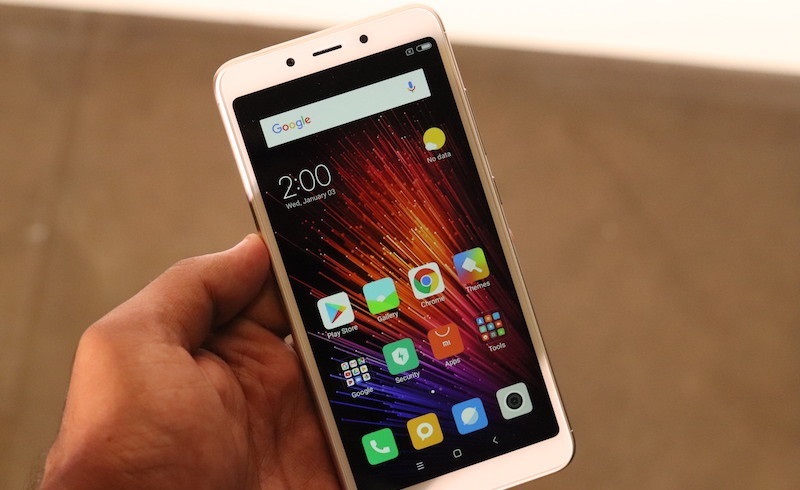 Companies like Xiaomi, Asus, Realme and Honor has some of its bestselling devices. Realme C1 remains one of the most-sold handsets under Rs 10,000. A highly competitive price bracket, the smartphones under 10,000 rupees does offer flagship level specs with some latest features. If you are planning to buy a good budget smartphone, here are some of the best smartphones under Rs 10,000 in the country right now. After the recent price cut, Asus Zenfone Max Pro M1 is available at a starting price of Rs 9,999. The smartphone comes with Snapdragon 636, an 18:9 widescreen Full HD+ display, 5,000mAh battery, stock Android and more. Launched last year, the smartphone is still one of the budget smartphones you can buy a price of 10,000 rupees. Available at a price of Rs 7,999, Realme C1 is certainly a budget smartphone killer with all the necessary features. From a water notched display to Snapdragon 450 to big battery, the smartphone is a complete package. Priced under 8,000 bucks, it’s one of the best budget handsets in the segment. Xiaomi if offering Redmi 6 at a price of Rs 8,499 with a new design, improved cameras and fresh MIUI 10. The smartphone comes with a 5.45-inch HD+ display, Helio P22 and 3GB of RAM. For another 500 rupees, you can even get the 64GB model under 10,000 rupees. It has a 3,000mAh battery with 12MP + 5MP dual cameras. This budget Honor phone from the Huawei sub-brand packs in a basic design, a 18:9 display entry-level Snapdragon 450 chipset inside and 13MP + 2MP dual cameras. Honor 7C houses a an 8MP upfront running on Android 8.0 Oreo with EMUI 8.0 on top. The base Honor 7C model is available at Rs 9,999 with 3GB of RAM and 32GB storage. Another budget killer from Realme, the second generation Realme 2 comes with a Full HD+ notched display, a huge 4,230mAh battery, a standard Snapdragon 450 processor, dual cameras and a polycarbonate body. The smartphone offers a great user experience given its budget. The smartphone retails for Rs 9,499 for the base variant. Available at a starting price of Rs 5,999, Redmi 6A comes with a 5.45-inch HD+ display, MediaTek Helio A22 with 2GB of RAM and 16GB of storage. 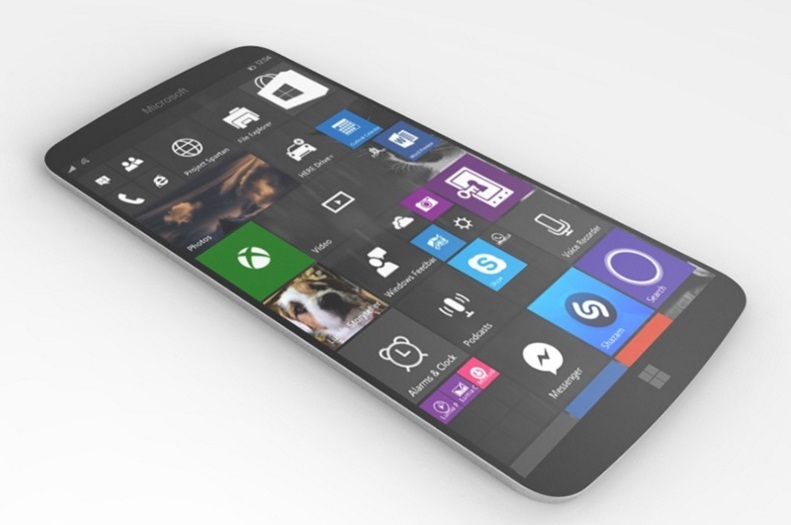 The smartphone can be further expanded up to 256GB. Redmi 6A has a 13MP rear camera and a 5MP front camera, backed by a 3,000mAh battery supporting dual 4G SIM cards. The Honor 7A features a 5.7 inch IPS LCD HD+ display backed by a Snapdragon 430 chipset. Honor 7A offers seamless Android 8.0 Oreo experience. Honor 7A comes with a rear dual camera setup comprising of a 13-megapixel (f/2.2) primary camera and a 2-megapixel secondary camera with a 8-megapixel shooter upfront, powered by a 3000mAh battery. The past seven days, the sub-Rs 20,000 segment has seen as many as five launches. The most recent being Honor 8C and Realme U1, both priced at Rs 11,999 onwards. Other than these, Vivo launched Y95 at Rs 16,990, Oppo launched Oppo A7 at same price tag of Rs 16,990 and Xiaomi launched Redmi Note 6 Pro at a starting price tag of Rs 13,999. Realme U1: 6.3-inch full HD+ (2340x1080) Display. Xiaomi Redmi Note 6 Pro: 6.2-inch full HD+ (1080x2246 pixels) Display. Honor 8C: 32GB and 64GB storage options. Realme U1: 32GB and 64GB storage options. Xiaomi Redmi Note 6 Pro: only 64GB storage. Realme launched its first U-series smartphone Realme U1 in India on Wednesday at a starting price of Rs 11,999 for the base model. Realme U1 is an Amazon India exclusive. The base model comes with 3GB RAM and 32GB storage. The smartphone's first sale will start at 12 noon on December 5 on Amazon India. 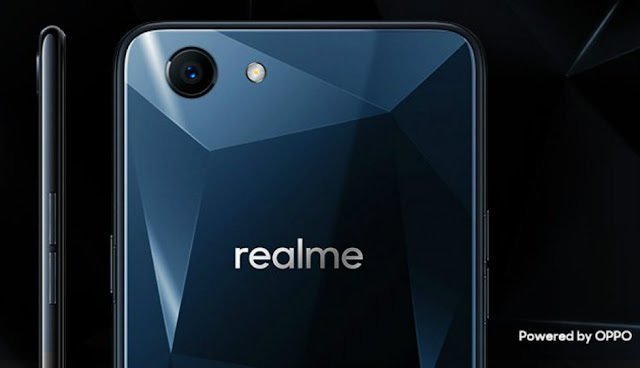 Realme U1 is the first smartphone in the world with Helio P70 SoC, which was unveiled by MediaTek back in October 2018. Realme U1 comes after the release of Realme 2 Pro and Realme C1 in September this year. Another specification that is rare to find in other smartphones is its 25MP selfie camera. Realme U1, which comes with 3GB and 4GB RAM options, has dual-SIM (Nano) and runs ColorOS 5.2 based on Android 8.1 Oreo. The smartphone has a 6.3-inch full-HD+ (1080x2340 pixels) LCD display. With a 19.5:9 aspect ratio, it has 90.8 percent screen-to-body ratio. It is boast of 2.5D curved glass, Gorilla Glass 3, a pixel density of 409ppi. Realme is powered by octa-core MediaTek Helio P70 SoC coupled with ARM G72 GPU. Realme U1 has a dual rear camera setup. It comes with a 13-megapixel primary sensor with an f/2.2 aperture and a 2-megapixel secondary sensor with an f/2.4 aperture. The smartphone has a LED flash. According Realme U1 also comes with Portrait Lighting, Slo-Mo video (up to 90fps), AI Scene Detection, and Bokeh effect. There is also an AI Face Unlock feature. At the front, the Realme U1 has a 25MP Sony flagship IMX 576 sensor paired with masterful MediaTek Helio P70 to significantly step up selfie power. 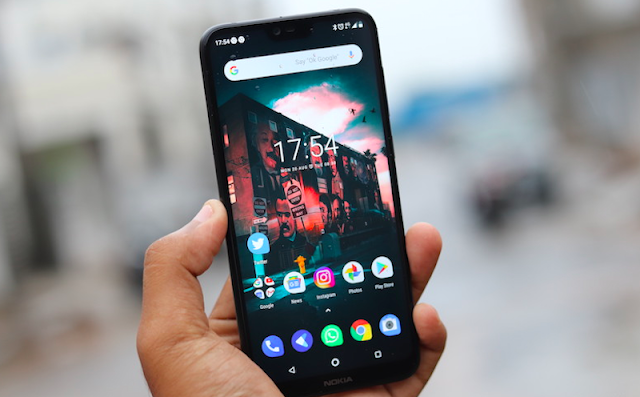 According to the company, the smartphone is backed by thorough localised testing to enhance Indian natural beauty features for stunning selfies, including skin tone, eye shape, and more. Night Shot Brightness feature: Realme U1 has 1.8µm Large Pixel, 4 in 1 Pixels and multi-frame noise reduction. The smartphone comes with 3500mAh battery couples with AI Power Master to allocate resource and manage power smartly. According to the company, P70 delivers high-performance balanced with excellent power efficiency. "Do more and charge less," the company said on its website. Realme U1 price starts from Rs 11,999 for the base model with 3GB of RAM and 32GB of internal storage. Realme U1 with 4GB RAM and 64GB storage variant is priced at Rs 14,499. The smartphone will be on Amazon India from 12 noon on December 5. The Taiwanese brand Asus saw significant success with its phone, the Asus Zenfone Max Pro M1 which became the favourite budget offering by Asus for a lot of buyers. Asus now seems to be building on top of that success with the launch of new Asus Zenfone Lite L1 (ZA551KL). This new phone by Asus bears a price tag of Rs 6,999 which puts it forth against much more competent phones in this price range like the Redmi 6A and the Realme C1. Notably, the Redmi 6A also comes at the exact same price and offers a lot of exciting features. The Asus Zenfone Lite L1 (ZA551KL) also comes with face unlock and dedicated microSD card among many other features which the buyers might like. Go ahead to read more about how the Asus Zenfone Lite L1 (ZA551KL) fares against the Realme C1 and Redmi 6A. To get the similarities out of the way, the Asus Zenfone Lite L1, Realme C1 and the Redmi 6A, all three boot Android Oreo and come with a dedicated microSD card slot. Out of all three, the Realme C1 features the biggest screen of a 6.2-inch display, whereas Xiaomi and Asus both offer similar 5.45-inch displays with 720p resolution. Also, the Realme C1 is the only phone among the three to sport a notch. The Asus ZenFone Lite L1 (ZA551KL) packs the Qualcomm Snapdragon 430 processor and offers a decent experience when it comes to performance, the Realme C1 is a step ahead, and it packs the Snapdragon 450 processor. The Redmi 6A differs a bit in this regard and sports the MediaTek Helio A22 processor. On the memory front, the Realme C1 and the ZenFone Lite L1 offer a similar 2GB RAM and 16GB of onboard storage, the Redmi 6A, on the other hand, debuts with 32GB internal storage which also comes for Rs 6,999. Buyers will be able to expand the memory via a microSD card by 256GB. The Realme C1 trumps the other two phones when it comes to camera and imaging by sporting a dual camera setup comprising of a 13MP primary sensor paired with a 2MP secondary sensor. On the front, the phone sports a 5MP selfie snapper which supports AI Face Unlock. The Asus ZenFone Lite L1 (ZA551KL) flaunts a 13MP rear shooter with f/2.0 aperture, 1.12um pixel size, PDAF along with LED flash support. The Asus phone sports a 5MP front sensor with f/2.2 aperture, 1.2um pixel size, and this one also comes with LED flash support. The Redmi 6A, gets a 13MP sensor on the rear side with PDAF support and f/2.2 aperture, whereas we get to see a 5MP selfie snapper on the front. When it comes to stamina and battery, the Realme C1 beats the others as it packs a 4230mAh battery, whereas, the Redmi 6A and Asus ZenFone Lite L1 (ZA551KL) come with a similar 3000mAh battery. Owing to the massive battery, the Realme C1 also sums up to be the heaviest phones at 168 grams, while the Asus ZenFone Lite L1 is the lightest and weighs just 140 grams. All the three phones come with the 3.5mm headphone jack, support Face Unlock and miss out on the fingerprint sensor. The Asus ZenFone Lite L1 (ZA551KL) retails in India for Rs 6,999, and it comes in the colour options of Black and Gold. In the initial days, the phone will be available for an introductory price of Rs 5,999 in the Flipkart Dhamaka Days, and then it will retail exclusively on Flipkart. The Xiaomi Redmi 6A bears a price tag of Rs 6,999 for the 2GB RAM+ 32GB storage variant, whereas the 16GB storage model is available for Rs 1,000 less. Interested buyers can get the phone from Amazon India and Mi.com where it will sell in Black and Gold colour options. The Realme C1 got a price bump recently and is now available for purchase at Rs 7,999 exclusively on Flipkart. Realme 1 has been launched in India on Tuesday, the first smartphone in the new Oppo brand for the country. The Realme brand is aimed at the Indian youth and meant for e-commerce channels, with Oppo naming Amazon India as its strategic partner for the launch of Realme 1, which will be exclusively available on the online marketplace. The smartphone's styling is similar to the 'glossy diamond-cut design' seen on recent offerings from Oppo - such as the Oppo F7 and Oppo A3 - though the company has foregone the iPhone X-style display notch seen on these two offerings. The Realme brand - positioned as a "premium mid-range smartphone brand" - will comprise smartphones in the Rs. 10,000 to Rs. 20,000 price range, however, more premium models can be expected in the future, the company said. The smartphone is a 'Made in India' product.The Realme 1 price in India starts at Rs. 8,990 for the 3GB RAM/ 32GB storage variant, and goes up to Rs. 10,990 for the 4GB RAM/ 64GB storage variant, and the top-model 6GB RAM/ 128GB storage variant has been priced at Rs. 13,990. It will be made available in Diamond Black, Moonlight Silver (coming in June), and Solar Red colour variants in the country. At this price range, the company is looking to take on the Xiaomi Redmi Note 5 Pro, which is available at Rs. 14,999 for its 4GB RAM, 64GB storage, and Rs. 16,999 for the 6GB RAM, 64GB storage variant. The smartphone's first sale will be held at 12pm IST on May 25 on Amazon India, with only the Realme 1's 6GB RAM/ 128GB storage variant made available in this sale. The company says the 3GB RAM/ 32GB storage and 4GB RAM/ 64GB storage variants will come to India a month later. As for Realme 1 launch offers, the smartphone is being offered with a 5 percent cashback on SBI cards, Jio benefits worth Rs. 4,850, a free case, and a free screen protector. Realme 1 specifications The dual-SIM Realme 1 runs ColorOS 5.0 based on Android 8.1 Oreo, complete with an India-specific theme. It sports a 6-inch full-HD+ (1080x2160 pixels) display with an 84.75 percent screen-to-body ratio. It is powered by an octa-core MediaTek Helio P60 SoC that's clocked up to 2GHz, coupled with 3GB, 4GB, or 6GB of RAM depending on the variant, as well as a dual-core AI-specific chip. The Realme 1 bears a 13-megapixel rear camera with LED flash, and a 8-megapixel front camera. The company is touting use of the Oppo's AI Beauty 2.0 feature that apart from beautification also offers 296-point facial recognition with . The smartphone also offers Face Unlock (said to unlock the smartphone in 0.1 seconds), but it doesn't have a fingerprint sensor. The Realme 1 features AR stickers for both the front and rear cameras. As for storage, the Realme 1 comes with 32GB, 64GB, and 128GB of inbuilt storage, depending on the variant, each of which is expandable via microSD card featuring its own dedicated card slot. In terms of connectivity options, the company is touting the presence of dual 4G VoLTE support on the Realme 1. It is powered by a 3410mAh battery. Built out of a fibre-glass body, the Realme 1 measures 156x75.3x7.8mm and weighs 158 grams. The company is also touting an AI Board assistant on board. We have already seen some of the major smartphone launches of the year. However, there are many that still remain. While some of the big names have already entered India such as Samsung Galaxy S9, Huawei P20 Pro and more, the popular budget handsets such as Moto G6 series, Honor 10 and others are likely to enter the Indian market in the coming weeks. So here are 14 smartphones that are expected to show up in the Indian shelves in or before the end of June quarter. 1. OnePlus 6 : The wait is almost over for OnePlus fans. OnePlus 6 has already been confirmed by the company and the India launch dates too are out. The smartphone will be arriving in India on May 17. There is no word on the pricing yet. The device, like last time, will be exclusively available on Amazon India's website. Some of the expected features include Qualcomm Snapdragon 845 processor, display with ‘Notch’, similar back panel as OnePlus 5T and dual rear cameras among others. 2. Oppo ‘Realme’ phones : Oppo has confirmed that it will soon be launching a new ‘online-only’ smartphone brand in India with the name ‘Realme’. This series is said to come with handsets that will aim to undercut the market captured by the likes of Xiaomi and Motorola. 3. Apple iPhone SE 2 : Apple iPhone SE 2 is one of the widely rumoured smartphones that is said to launch in June at the company's annual developers event WWDC 2018. Few reports suggest that the smartphone will sport a glass back and will essentially come with a similar design as its predecessor. However, some reports also indicate it to feature a ‘Notch’ like with the iPhone X. 4. Honor 10 : Honor 10 has been officially confirmed to arrive in India soon. The Indian e-commerce giant Flipkart has been running teasers of the smartphone since past few days. The smartphone has already been launched in China so the specifications are out in the open. Some of the key specs included are 5.84-inch FHD+, Kirin 970 processor, 6GB/8GB RAM, 24MP+16MP rear camera, 24MP front camera and 3400mAh battery. 5. 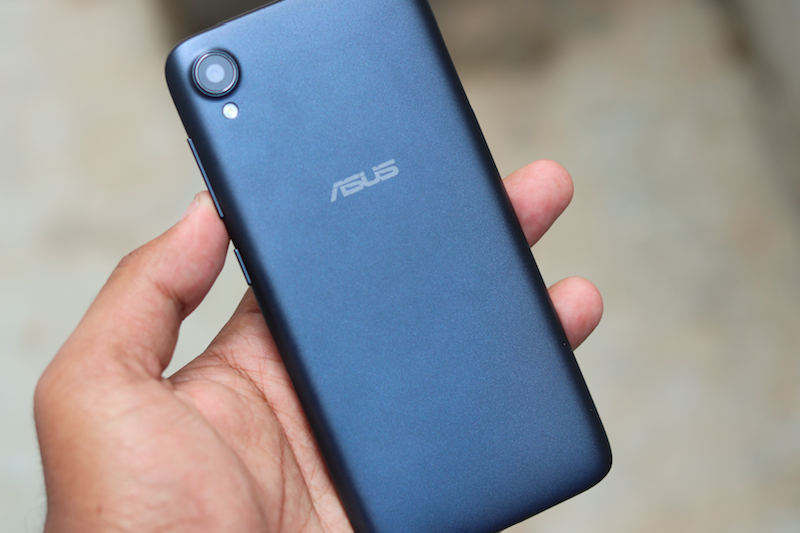 Asus Zenfone 5, Zenfone 5Z : Asus Zenfone 5 has already been launched in India but is still to go on sale. The smartphone comes with the famed Apple iPhone X-like ‘Notch’ design and top-of-the-line specifications. The series includes the Zenfone 5 and the Zenfone 5Z. The Zenfone 5Z includes a 6.2-inch FullHD+ display, Qualcomm Snapdragon 845, 8GB RAM, dual rear cameras and 8MP front camera. 6. Moto G6, G6 Plus and G6 Play : Moto G6 smartphones are already out in select markets outside India. The series includes G6, G6 Plus and G6 Play. The G6 includes 5.7-inch fullHD screen, 12MP+5MP rear cameras, 8MP front camera, 32GB inbuilt storage, 3000mh battery. The other two handsets come with a slightly different set of specifications. 7. Moto E5, E5 Plus and E5 Play : Like Moto G6 series, Moto E5 series could also launch on or before June this year. The list includes the Moto E5, E5 Plus and E5 Play. Moto E5 features a 6-inch HD+, 3GB RAM, 32GB storage, 5000mAh battery, 12MP rear camera and an 8MP front camera. Other variants feature slightly different specifications. 8. Xiaomi A2 (Mi 6X) : Xiaomi is also expected to launch its Mi 6X smartphone in India soon as the Mi A2. The A2 is likely to run on stock Android OS. The smartphone is already out in China and features a 5.9-inch full HD+, octa-core Snapdragon 660 SoC, 4GB/6GB RAM, 12MP+20MP rear cameras, 20MP front camera and 3010mAh battery. 9. Samsung Galaxy A6, A6+ : Samsung has just launched its Galaxy A6 and the Galaxy A6+ smartphones with ‘Infinity Display’. The company has not yet confirmed when these will come to India but has mentioned that the two smartphones will reach Europe, Asia and Latin America in early May. Some of the key features of the smartphone 5.6-inch HD+ octa-core processor, 3GB/4GB RAM, 3000mAh battery, 16MP rear and front camera. 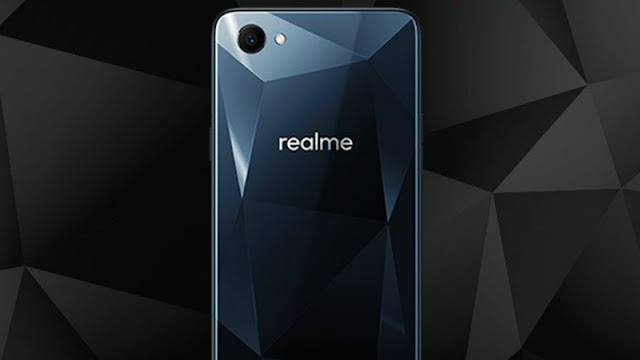 Oppo on Tuesday launched its new 'Made in India' sub-brand for e-commerce, Realme. Alongside, it announced a strategic relationship with Amazon India for the launch of the Realme brand's first product - the Realme 1. Overall, the move looks likely aimed to upset Flipkart and Xiaomi. The Realme 1 will debut exclusively on the Amazon India site on May 15. The brand is meant to cater to "young Indian consumers", and aims to primarily offer options in the range of Rs. 10,000 to Rs. 20,000, with more premium launches planned for the future. So far, not much has been revealed about the Realme 1. We are shown a 'Black Diamond' back panel sporting triangular-cut patterns, similar to the rear panel of the Oppo A3 that was launched in China last week and the Oppo F7 Diamond Black. Neither Amazon nor Oppo has announced any details about the price and specifications of the upcoming Realme 1. However, it appears that the new smartphone is designed to rival the Xiaomi Redmi 5A that is available in the country with a starting price of Rs. 5,999. The Redmi series handset is notably available for purchase exclusively through Flipkart and Mi.com. Amazon India has built a microsite for the Realme 1 that reveals some of its key features. The handset seems to feature a metallic frame and a shiny back panel with triangular-cut, diamond patterns. The uniquely designed back panel has been compared with a simple metallic back that seems to be of the Redmi 5A. The Realme 1 also has a rear-facing camera sensor, coupled with an LED flash. The new smartphone will come with an after sales support directly from Oppo that is touted to have over 500 authorised service centres in the country. Moreover, Amazon India and Oppo are set to target the upcoming offering at the Indian youth. From the back design that has been featured on the microsite, the handset looks similar to the last week launched Oppo A3 that comes with an introductory price of CNY 1,999 (approximately Rs. 21,000). The Oppo A3 also features multiple colour options, including Black, Pink, Red, and Silver. That being said, the hardware of the Oppo A3 is quite superior when comparing with affordable options, including the Redmi 5A. The dual-SIM (Nano) Oppo A3 runs Android 8.1 Oreo-based ColorOS 5.0 and features a 6.2-inch full-HD+ (1080x2280 pixels) LTPS display along with 19:9 aspect ratio. 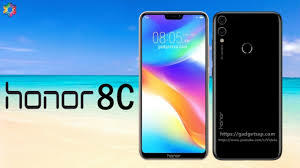 It is powered by an octa-core MediaTek Helio P60 SoC, coupled with 4GB of RAM, and has a 16-megapixel rear camera sensor, 8-megapixel front camera sensor, and 128GB of onboard storage. The handset also packs a 3400mAh battery. Therefore, the Realme 1 is likely to be a cheaper version of the Oppo A3. It could come with ColorOS 5.0 based on Android 8.1 Oreo but with inferior specifications. 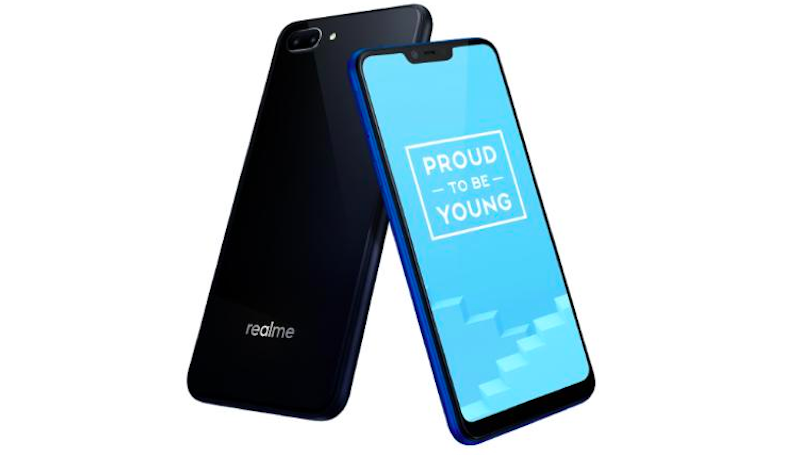 Speaking on the launch of the brand, Madhav Seth, Chief Executive Officer, Realme India, said, "Today, young consumers prefer a better phone design that represents their different but real personalities. They are looking for an affordable price option without compromising on the built-quality and the device performance. On the functional side, their ask is a smarter camera and selfie experience. Realme phones will satisfy the needs of the young and online consumers through its exquisite design, leading specs, cutting edge technology and industry-leading quality. We believe we will be the real disruptor in online smartphone market." 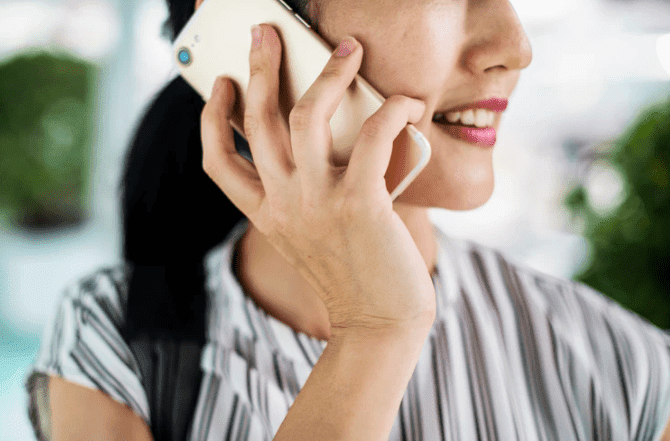 Talking about its partnership with Realme, Noor Patel, Director - Category Management, Amazon India said "Smartphones continue to be one of our largest categories, making us the destination of choice for customers as well as brands. We are excited to partner with Oppo for the launch of their new sub-brand that appeals to savvy, young shoppers. 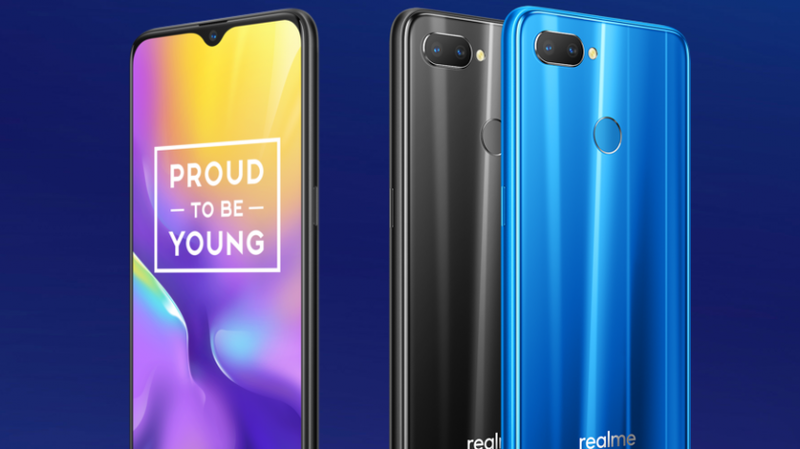 Their new smartphone, the Realme 1, will be available from May 15 exclusively on Amazon.in. With a focus on providing the best selection at the best prices and the convenience of fast & reliable delivery, we have and will continue to work customer backwards."